Did you know that there are roughly 3 billion email users around the world, and 300 billion emails are sent and received every day? This makes 100 emails per user per day. Email is still one of the most popular channels, especially when it comes sales. Especially if you are in B2B sales, your sales process includes several emails throughout your sales funnel, most of which having an email attachment: brochures, catalogs, proposals, decks, contracts, etc. Stop sending email attachments today! Yes, of course, you have to send these sales documents to your prospects, but not as an attachment to your emails? You have to switch to a link-based solution instead. Why? Here are the reasons! When you send a confidential file to your prospects via email, even if you mention that it is confidential, you can never guarantee they won’t share it others, including your competitors, employees, etc. With a link-based solution, you can control who sees your documents. Sending a sales document by email means storing the same file on multiple devices: on your computer, in your outbox, in all the recipients’ inboxes, and most probably on all their computers. Even if all parties keep it confidential, the file itself becomes more vulnerable to cyber attacks. With a link-based alternative, your file is stored in one location only. Things change in business life. Your products, proposals, quotes, people, roles, many things change by time. But once you send an email, it lasts forever in your prospects inbox. Two years later, you might wish you have never sent that file. With a link-based solution, you can easily set an expiration date. As salespeople, we send so many emails. Even if we hate it, sometimes we might send the wrong email to the wrong person! And there’s no way to retrieve an email. If you share your sales document as a link, you can at least disable the link or revoke access and avoid that wrong person sees it. Sending huge files by email is definitely a bad practice. Firstly. it clogs inboxes and everybody hates it. Secondly, with mobile devices, nobody wants to open huge files. And lastly, some mail servers don’t allow certain sizes. When you send a link, you avoid all these problems. Today nobody wants to download anything, especially with mobile devices with limited connectivity and storage. When you send a link to your sales collateral, they can easily view it without downloading your file. When you send large email attachments, you increase the chances that your email get lost in spam filters. And worse than that, if you keep doing this, your email address might get blacklisted, which is the last thing a salesperson wants. If you send a link, you don’t have these issues. With larger sales teams, one of the problems is that every salesperson in the team creates his own version of a sales document. And this typically ends up with going off-brand. With most link-based solutions, you have a central repository and all team members share the same documents. After you send a document by email if you need to modify it, inadvertently you end up with a second version of the file. And this might create many problems, such as sending each version to everybody again or dealing with different versions. When you share a link though, you just modify the source file and you’re done. How many times you sent an email and forgot to attach a file to it? It feels terrible right? This happens because when we are writing the email, we mention the attachment but we don’t attach the file and wait until we finish the whole email. However, when we give a link, because it’s in the text itself, we don’t forget to share it. If you are sending a contract, you want to get it signed as quickly as possible. But when you send it as an attachment, unless your prospect has an e-signing solution, they have to manually sign it (print-sign-scan-send). However, if your link-based solution has e-signing capabilities, you can get your document signed super quick. 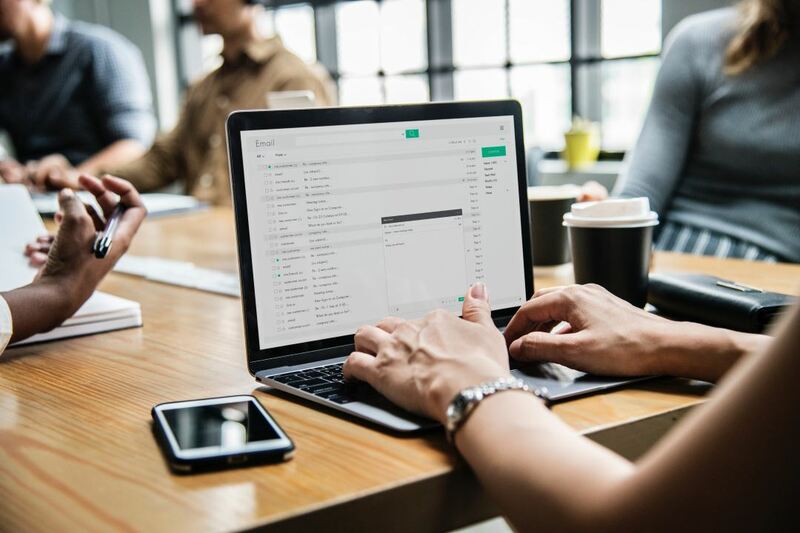 Last but not least, even if you use email tracking, you can’t track how your prospect engages with your sales document in detail. How much time did they spend on each page? Did they forward it to another decision maker? Did they print it, download it? This valuable insight is all possible when you use a link-based document tracking solution. If you cannot do anything else, at least use a file sharing solution like Dropbox, Google Drive, OneDrive, etc. This will help you solve many of the above problems. However, if you want better sales results, to track how your prospects engage with your document and get it e-signed quickly, you should consider switching to an electronic signature solution like GetAccept. If you want to close more deals, stop sending email attachments today, and start using a link-based modern solution to send your sales documents!